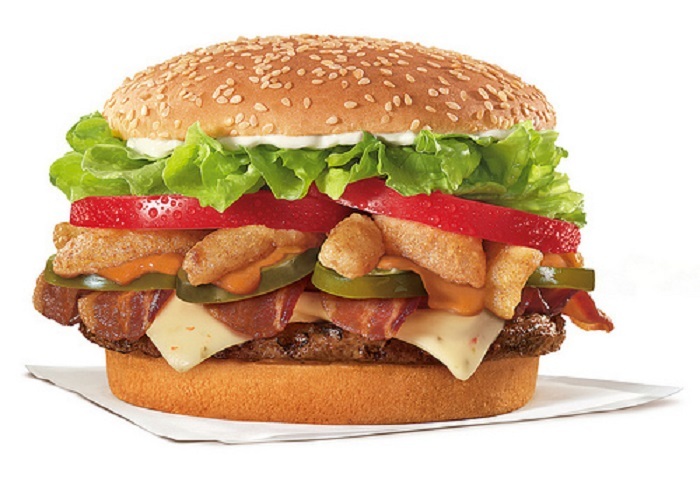 FOOD FREAK OUT: Global Tricks or Treats? 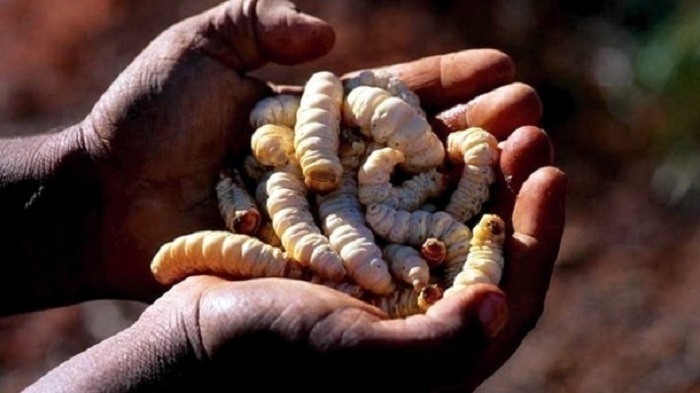 Aboriginal Australian natives who live in the bush traditionally eat witchetty grubs – small larvae of the ghost moth – raw and alive. They’re not for everybody. The grubs are high in protein and quite nutritious. I’m told they have a slightly sweet flavor when enjoyed raw, but are also eaten barbecued with a satay-type peanut sauce, although I can’t figure out why they don’t fall through the grill grates. I like herring – quite a lot, actually – but the delicacy from northern Sweden called surströmming would test my fishy tolerance. 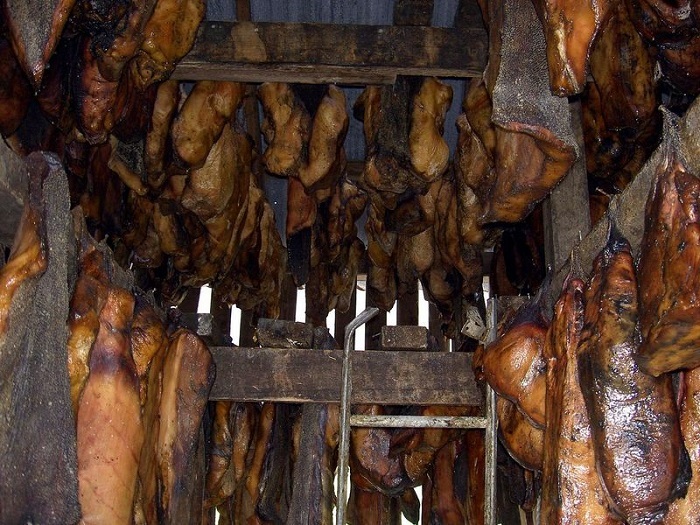 The herring is salted to keep it from rotting and then spends the next six months or more fermenting. 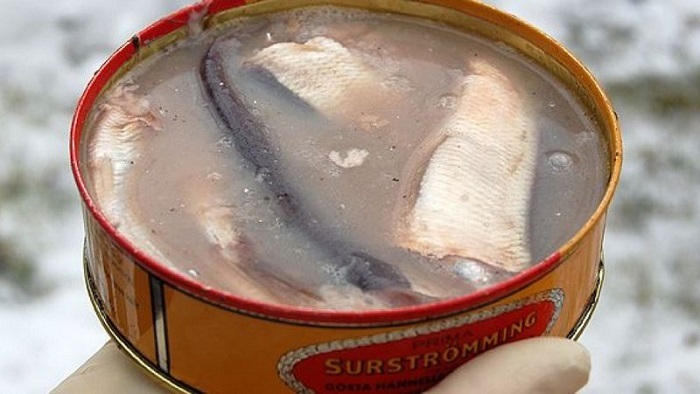 Open up a can of surströmming indoors and it will not go unnoticed, which is why I’m told that this traditional nosh is typically enjoyed by Swedes outdoors. 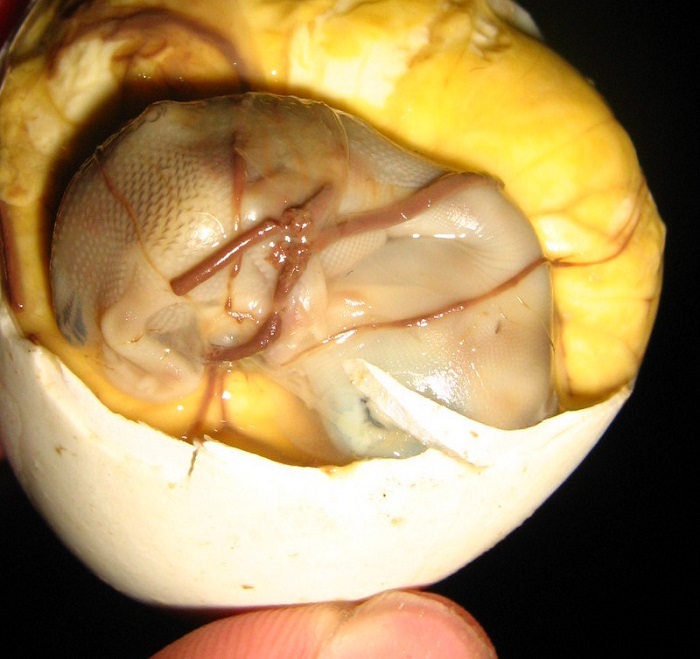 In the Philippines you’ll find balut – fertilized duck egg with a partially developed embryo inside. To prepare it for a snack, boil it alive and eat from the shell with vinegar, chili and salt, feathers and all. 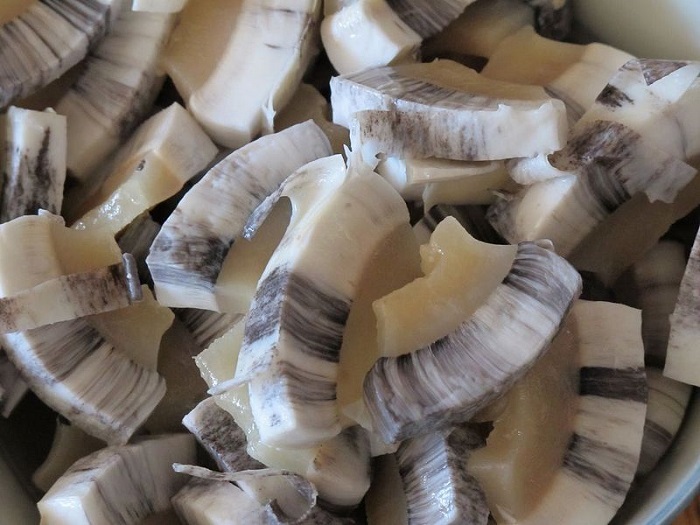 You’ll need to travel to Greenland to experience the chewy, rubbery traditional Inuit and Chukchi meal of muktuk: frozen bowhead whale skin and blubber that is said to taste like hazelnuts. I’ll probably never know. As I mentioned, I’ve enjoyed nutty-tasting fried grasshoppers (chapulines) in Mexico. Believe it or not, this crunchy snack is wildly popular at Mariners’ baseball games in Seattle, as well. Not to be outdone, Israel has turned an unwelcome plague of locusts flying in from Egypt into an unusual kosher snack by eating them deep-fried and covered in chocolate. 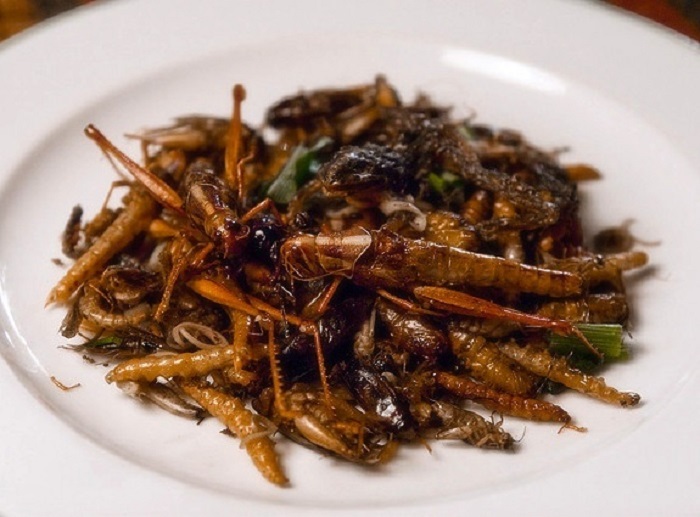 At Jerusalem’s Eucalyptus restaurant, chef Moshe Basson rolls his locusts in coriander seed, flour, garlic and chili powder before deep-frying them. 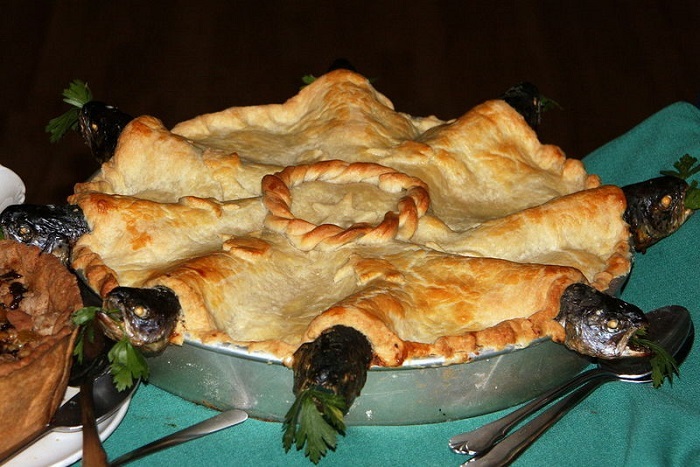 England has never been an A-list destination for gourmet food lovers, but I draw the line at stargazy pie, a strange Christmastime dish there. I does look like a regular pie – flaky crust and all – but with baked pilchard or sardine bodies submerged under the crust and their heads protruding outward, as if they was gazing at the starry, starry night.